Do you want to experience the outdoors in comfort and style? 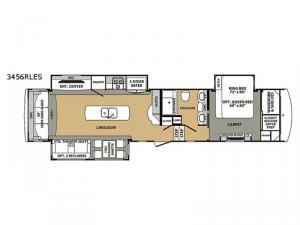 Well then, this Forest River Cardinal Estate 3456RLES fifth wheel is for you! It offers plenty of space with the triple slide outs. You also have extra sleeping space when you convert the hide-a-bed sofa. The layout and amenities of the kitchen, such as a kitchen island and three door refrigerator, allow you to easily prepare and store large meals. Getting ready in the morning will be convenient with the double sink vanity, and at night you can rest up in the king bed. 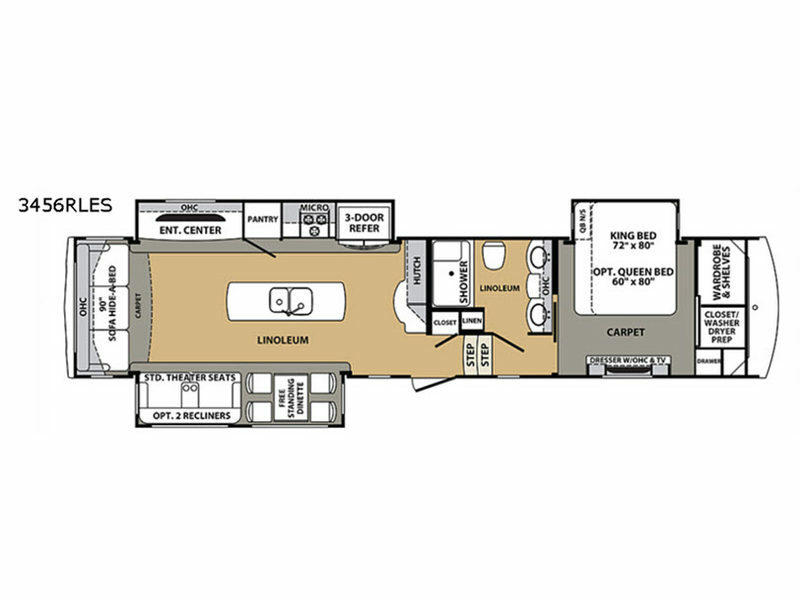 In any Cardinal Estate fifth wheel you will find premium features for increased comfort and convenience while you camp. The body design features 100" wide frame, which allows for plenty of room to really create an at-home feel. Each unit features an all welded aluminum structure frame and trusses, as well as, a roof made of Alpha Super Flex II TPO, to create a fifth wheel that is built to last. You will enjoy premium features such as a Furion double door dishwasher, stainless steel appliances, cathedral ceilings throughout, a fireplace, theater seats with a lifetime frame warranty, high end full body paint choices, and MOR/ryde 4000 suspension, plus so much more!